Bill is a man of God who has seen God’s power in his life and his family’s. He is a business owner of Northwest Road Service in Portland. 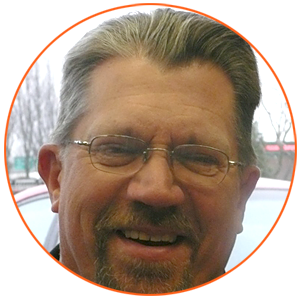 Bill is a qualified licensed minister of the Gospel, and was a board member of several local Portland churches for many years. Bill brings years of experience in corporate management to our team and we are delighted to have him on the Board of Closer To Him Ministries. Bill is married to Pam, his delightful wife of over thirty years and they reside in Portland, Oregon. Bill and Pam have three children and four grandchildren. Pastor Dave Edwards is a veteran of the United States Coast Guard having served his country as a search and rescue senior instructor and commander during his distinguished twenty-three year career. Dave is a graduate of the Brownsville Revival School of ministry in Pensacola, Florida. The Lord then called Dave to pastor a growing church in Alaska and currently is Senior Pastor of Central Coast Assembly in Newport, Oregon. Pastor Dave and his wife, Nancy, have one daughter and one wonderful grandson. Pastor Dave Edwards is a sensitive and seasoned man of God who loves the Kingdom of God and HIS people. 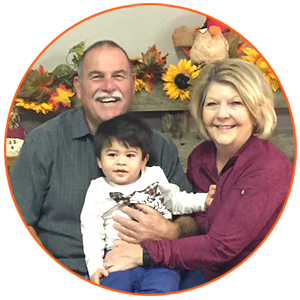 Gary and Pat are missionary evangelists who travel extensively teaching and preaching a message of commitment, holiness, and becoming solid, genuine “Jesus followers”. 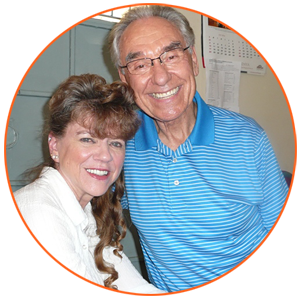 They have lived in Oregon since 1998 and are committed to help bring the church into the fullness of the Holy Spirit. Gary was born and raised in Ohio and is the oldest of ten children. Pat is the youngest of three sisters and was born and raised in Pensacola, Florida. She loves the King of Kings with all her heart. Gary and Pat continue to travel extensively and minister in churches and other venues as the Lord leads them.